The Mayor of Pamplona, Enrique Maya, has held a press conference this morning in order to make an evaluation of the 2013 Sanfermin fiestas. With regard to the negative aspects, he underlined that those responsible for the Boycott of the Txupinazowill be tracked down. A study will also be made on how to solve the problem of the insults and “lack of personal and institutional respect and dignity that is suffered by the corporation and church council of canons in the Sanfermin Procession at Curia Street, which goes beyond the freedom of expression and opinions” and that different aspects of the running of the bulls event will be examined in an attempt to improve the question of safety. With regard to the positive aspects of the fiestas, the mayor of Pamplona underlined the warm weather and the festive atmosphere. He also stated that the new parking restrictions had proved to be a success. In this respect, Pamplona City Hall made an income of 351, 903 euros and had 165.286 users. 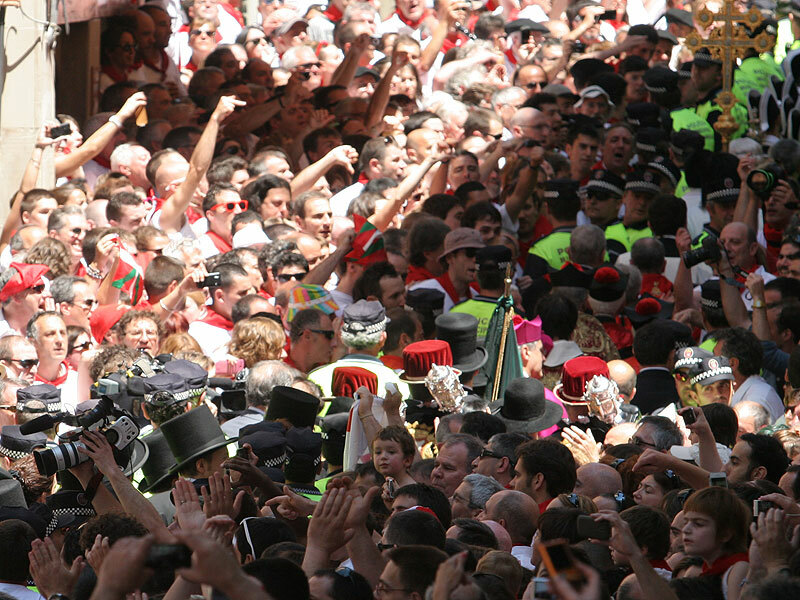 Among the macro figures that might be underlined from this year’s fiestas are the number of runners who took part in this year’s runnings of the bulls – a total of 17.813 runners in 2013; The total of 1.590.076 people who participated in the official program events and the fact that 972.280 kilos of garbage in total was collected over the eight days. From these high figures it has to be said that the running of the bulls registered a drop of 13, 82% runners compared to last year. The largest attraction of all, as far as numbers go, was the nightly Fireworks displays with a total of 462.000 people attending them. The musical venue of the Plaza de los Fueros was consolidated with an increase of 24% in the attendance. To find a breakdown of the figures, download the Press handout here.